Ludacris and Texas’ football team won’t be the only shows in town this weekend. 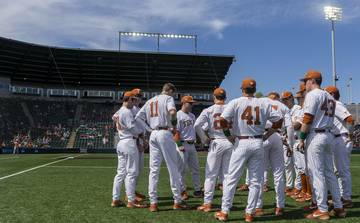 The baseball team will play three home games against Kansas State during the school’s “Made in Austin” weekend. 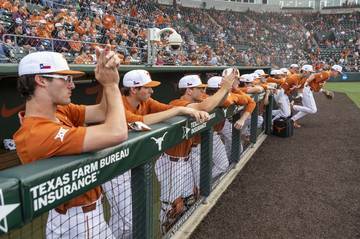 On Sunday, the Longhorns will also hold a post-game clinic for young fans. Additionally, dogs will be allowed at UFCU Disch-Falk Field that day as part of a “Bark in the Park” promotion. Saturday afternoon’s game, of course, will bat leadoff for the football team’s spring game and an on-campus concert by Ludacris. Will Texas fans catch David Pierce at Royal-Memorial Stadium on Saturday evening? 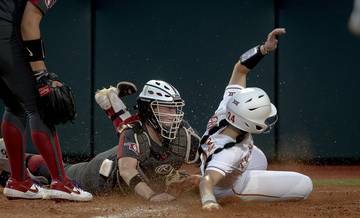 “Depends on how we play,” the baseball coach said. Led by former Oklahoma coach Pete Hughes, Kansas State is 14-20 this season. The Wildcats rank 122nd nationally in RPI. Kansas State has lost five of its six games in conference play, but the win was over No. 15 Texas Tech. Last season, Kansas State won two of the three games that these teams played in Manhattan. 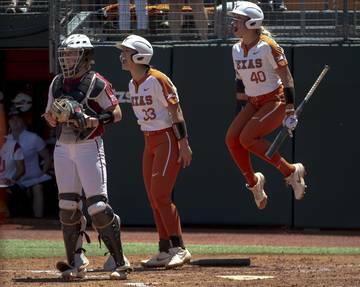 Last week, Texas (22-13, 4-4 Big 12) split the two games it played in Waco. 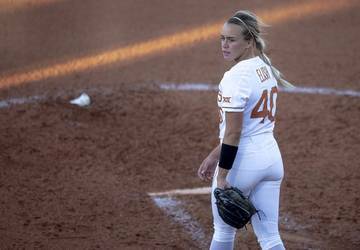 The Longhorns held a 6-0 lead in the second inning of the third Baylor game this past Sunday, but weather washed out that game’s results. The game will not be made up. 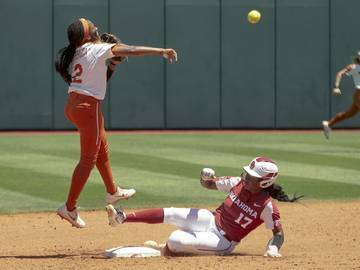 Texas and Baylor sat through two delays on Sunday, the second of which lasted more than four hours. The Bears killed time in their clubhouse by watching the Baylor women’s basketball team win a national championship. 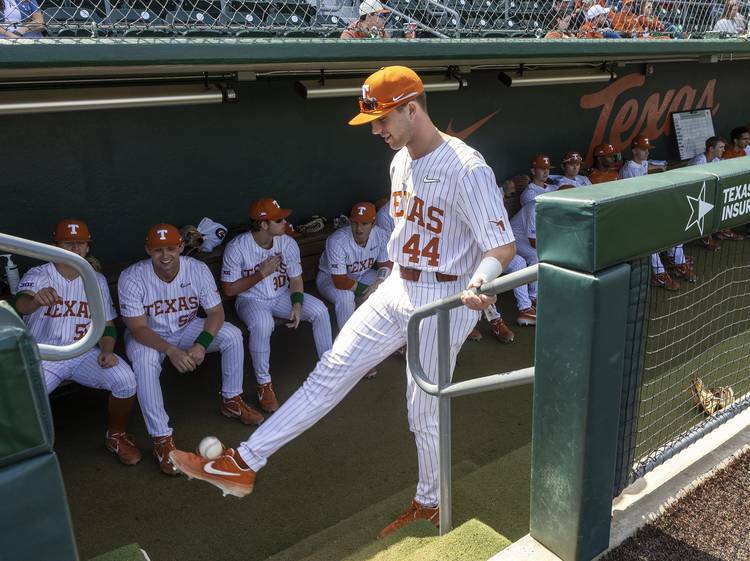 The Longhorns played hacky sack — “Ty Madden’s pretty good, he plays all the time. 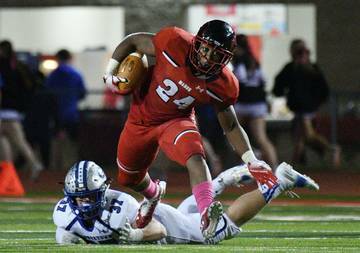 So does (Bryce) Elder,” Todd said — and competed in various games. 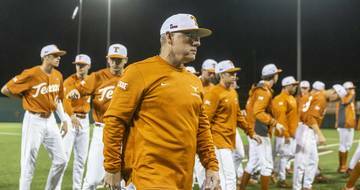 A few days later, UT outfielder Duke Ellis thought the delay was a blessing in disguise. The Longhorns bonded during the break. Ellis noted that “this week, I feel like we’ve had a lot more laughs together,” and he sensed the team’s chemistry had improved. 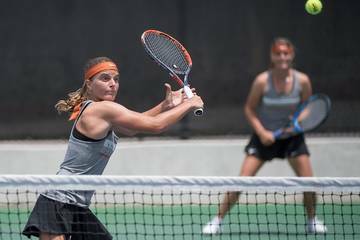 Texas shook off the rust from an inactive Sunday with a 3-1 victory over Rice on Tuesday. The team also did situational drills during Wednesday’s practice. Pierce said freshman Coy Cobb, who threw only 20 pitches during Sunday’s start, participated in live pitching on Wednesday.